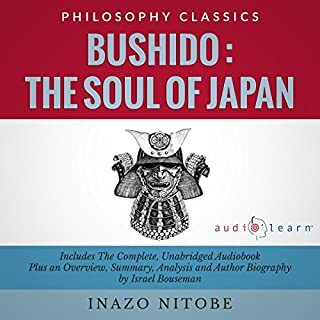 Miyamoto Musashi (1584 - 1645) was arguably the greatest swordsman who ever lived, a legendary figure whose methods of thought and strategy have been studied and adopted across a wide spectrum of society, from martial artists to military leaders to captains of industry. 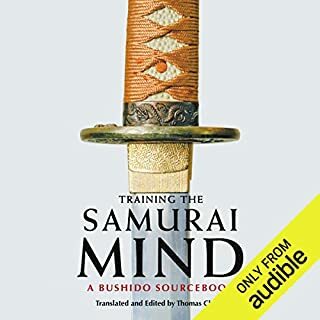 The iconic sword saint of Japan was clearly a genius, yet he was also a functional psychopath - ruthless, fearless, hyper-focused, and utterly without conscience. 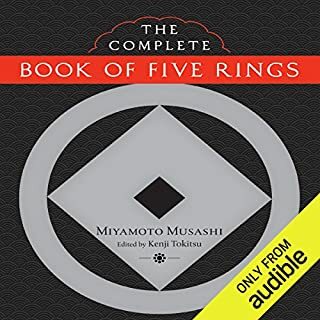 Shortly before he died, Musashi wrote down his final thoughts about life for his favorite student Terao Magonojo to whom Go Rin No Sho, his famous Book of Five Rings, had also been dedicated. 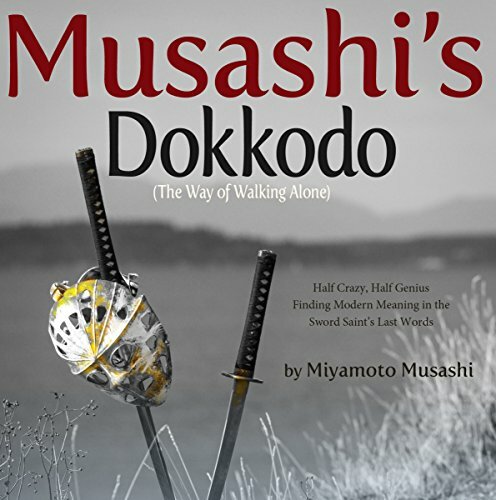 He called this treatise Dokkodo, which translates as, "The Way of Walking Alone". 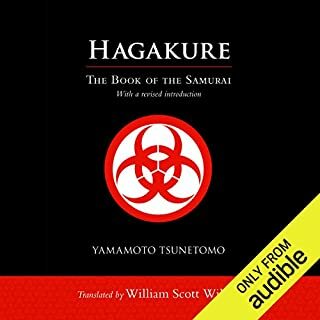 This treatise contains Musashi's original 21 precepts of the Dokkodo along with five different interpretations of each passage written from the viewpoints of a monk (Wilder), a warrior (Burrese), a teacher (Smedley), an insurance executive (Christensen), and a businessman (Kane). Each contributor has taken a divergent path from the others, yet shares the commonality of being a lifelong martial practitioner and published author. In this fashion you are not just hearing a simple translation of Musashi's writing, you are scrutinizing his final words for deeper meaning. In them are enduring lessons for how to lead a successful and meaningful life. Based on an iconic historical figure from feudal Japan. 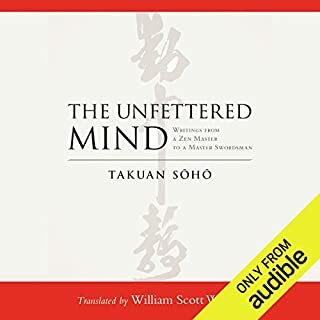 The different authors give varying great takes and deeply in-depth analysis on his famous precepts. Highly recommended. 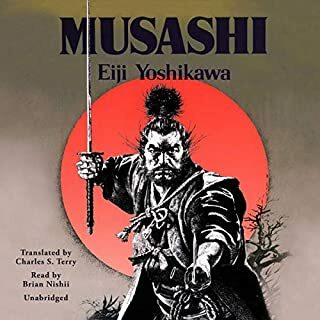 To be honest, I may be being overly critical but I feel that a book with Musashi in the title qould talk about the myth and fantastical stories of the Japanese swordsman. This goes on to explain about him being a real man who was abused as a child and ran from home etc. I couldn't even bring myself to listen to this for an hour. It may be incredible but if a book doesn't grab me quickly it loses me; this book was not worth a credit in my opinion. Lesson learned, always listen to the sample before purchase.